WordCamps are the local community led volunteer-driven conferences where you get all things and everything about WordPress. No matters you are new to the WordPress or a pro developer, you are a business owner or a blogger, you are a designer or marketing strategist; you will get an opportunity to meet the like-minded people from the local community and from across the globe too. 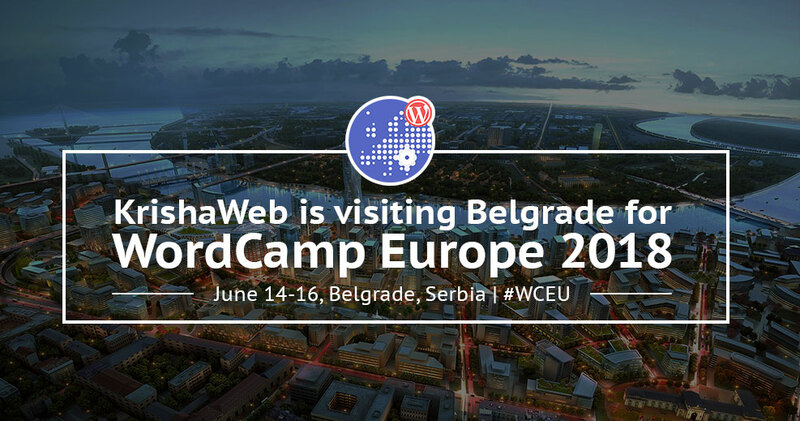 Belgrade is the host city for the WordCamp Europe, 2018. It is one of the most beautiful cities to be in Serbia. WCEU is scheduled on June 14-16, 2018. This will be of two days conference and there will be a contribution day on June 14. Both the days of the WordCamp will be packed with the power pack sessions and workshops. Check out the full schedule and sessions of WCEU here. We are actively participating in national WordCamps not just as a sponsor but as a volunteer, speaker, an attendee and as an organizer too. We have visited WordCamp US in Nashville last year. This time we are glad to be a small business sponsor at WordCamp Europe. You can always come to our booth at Sponsors’ area and discuss your digital needs to our representatives at the booth. At all the WordCamps, we always try to meet new people and try to share and exchange the technical knowledge. WordCamps have been a wonderful platform for us to meet and connect with new people in last few years. We believe in ‘Transforming Digital Experience’. We do that by creating an awesome experience, communicating brand stories and connecting you to your customers. Meet us at sponsors’ area at WordCamp Europe and have a chat with our representative. If you yet not get your WCEU ticket, you have the last chance to get it. Get your #WCEU ticket now! We will be in the city before and after the WordCamp. You can also join us for a drink outside WordCamp.